To the center of the city in the night, we will be waiting for Brooklyn's Fashionably Authentic The DRUMS. Tomorrow evening these post-punk enthusiasts take stage: 10.04.10 Neumos Seattle Washington, USA doors open at 8PM. 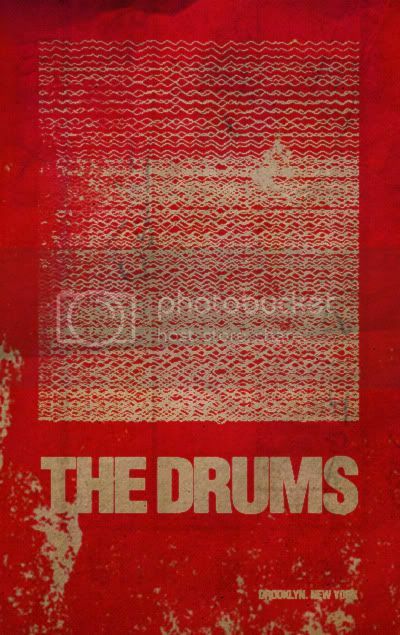 Seemingly an unabashed ode to such sonic fusion as The Smiths, The Cure, and Joy Division, The Drums capture the essence of all three, supplying their own timestamp on a beautiful era of music. Hopefully The Drums fare as well live as they do on record! Hit us up on twitter tomorrow evening as we take in The Drums in Seattle! Took me a long time to warm up to this album but now I admit I like it. And "Best Friend" is probably one of my favorite songs off the album. It sounds like it was written from the point of view of a cat whose owner died.